Taxi Choice can cater for all your insurance needs as a taxi driver or company owner. Alongside your taxi vehicle cover, we can provide a whole host of optional extras that can be included in your policy for a small additional premium. Roadside assistance and nationwide recovery – only £99! Roadside assistance, national recovery and home call – only £119! Taxi Choice provides great rates on passenger, public and employers liabilities. Taxi insurance policies will often include some form of passenger liability cover as standard but you shouldn’t automatically assume this. In today’s’ ‘blame and claim’ culture, accidents can cost thousands of pounds in court fees and compensation. Our team will be more than happy to provide you with details on the different options. Complete cover for your taxi office or business premises. Typical packages include commercial building and contents cover, public and employers’ liability and business interruption cover. However, we also offer a wide variety of other business insurances so please get in touch to inform us of your individual requirements. 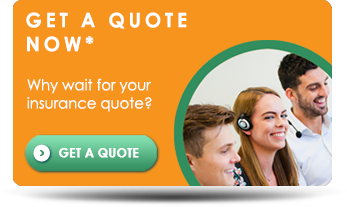 If you would like more information on any of the insurance products on this page, please do not hesitate to give our team a call on 0333 200 0089 or email us with your enquiry at info@taxichoiceinsurance.co.uk. We look forward to hearing from you!